STEVENSVILLE, MARYLAND (PRWEB) SEPTEMBER 15, 2015 – As the agricultural market in North America increasingly migrates to larger, more efficiently run industrial operations, vehicle lift leader Stertil-Koni, has reported growing demand for its portfolio of certified heavy duty vehicle lifting products. In addition, other farms across North America are employing 4-post lifts and the Stertil-Koni in-ground piston lift, known as the DIAMOND LIFT. The DIAMOND LIFT is a high-pressure, telescopic in-ground piston lift with a capacity of 96,000 lbs. in a three-piston configuration and was created with both efficiency and the environment in mind. Noted DellAmore, “Our DIAMOND LIFT ensures that hydraulic fluid always remains fully contained and above ground – in a free-standing console that is easily accessible. 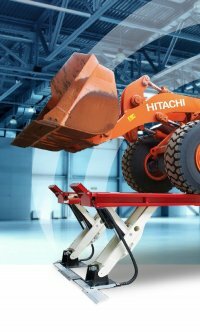 Additionally, the DIAMOND LIFT enables wheels-free access, making it an ideal choice for routine maintenance, such as servicing brake systems.” This lifting approach, like all Stertil-Koni lifts, features electronic synchronization for maximum safety and performance. Stertil-Koni, a brand of the Stertil Group, is the global market leader in heavy duty vehicle lifts – bus lifts and truck lifts – and is the preferred supplier to the world’s leading companies in the truck and bus industries. 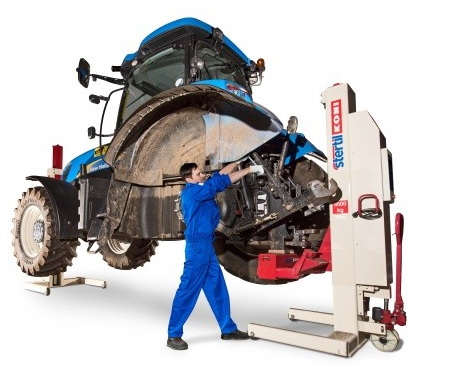 Stertil-Koni’s breadth of products meets all ranges of lifting needs and includes mobile column lifts, two-post, four-post, in-ground piston lifts, parallelogram lifts, half-scissors and its innovative axle-engaging, in-ground, scissor lift configuration, ECOLIFT. Stertil-Koni is also now installing DIAMOND LIFT across North America, a full rise telescopic piston lift designed to set new standards in precision heavy duty lifting. Stertil-Koni USA is headquartered in Stevensville, Maryland. Stertil-Koni has production facilities in Europe in The Netherlands, and in the USA in Streator, Illinois.